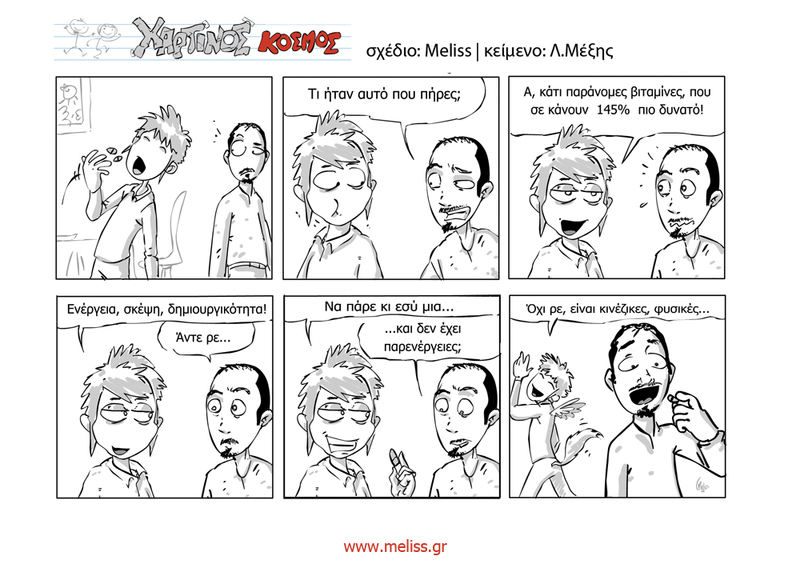 Xartinos Kosmos is a well known Greek webcomics that we started in 2007 and finished in 2012. It features the life of 2 friends who live their life through comics, video games and movies and talk about everything with humor. 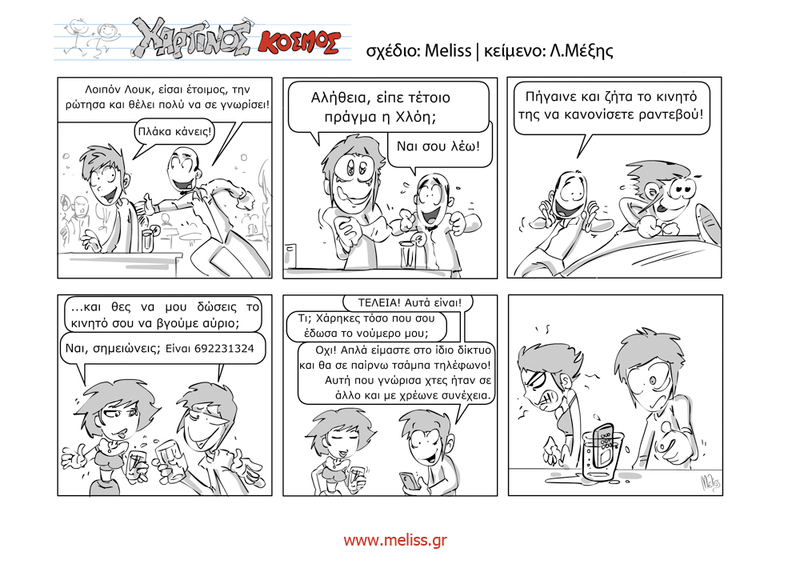 The story is written by Loukas Mexis, and the artwork is made by Meliss. You can find it at Jemma Comics Shop. This album is a collector's edition and it was print in only 400 pieces!! You can reed our comics online at www.xartinos.gr.